You are here: Home / Producing Print Books / How Much Does It Cost to Produce a Print-on-Demand Book Using CreateSpace? How Much Does It Cost to Produce a Print-on-Demand Book Using CreateSpace? The short answer is zero, $0! CreateSpace is Amazon's print-on-demand subsidiary and they offer one of the most competitively priced “POD” services in the industry. But of course it isn't as simple as dollars and cents. There are often optional costs that vendors entice us to buy and the time investment to learn how to do something. Then there's the so-called opportunity cost—maybe you could have been doing something more productive with your time. Putting aside the opportunity cost, I'm going to run down a list of optional costs and share a few pointers in case you feel like trying this yourself. A solid knowledge of Microsoft Word (or similar) and a dash of patience and perseverance is all you need to make it happen. I've produced CreateSpace manuscripts in both Word and PDF format for uploading and find it easier to upload a PDF file. If you are using Word, there may be times when you use a special font or other element and their system will report a problem with your file. I've gotten around this by submitting a PDF because the fonts are embedded when you create the file. Covers are another area where many people feel at a disadvantage. The cost is going to range from $0 to several hundred dollars so it becomes a budget consideration. Read our post on cover design resources. 1. The first decision you need to make is what size the book will be. You or your cover designer needs to know this in order to design the book cover. Once you select the size you'll want to stick with it otherwise it’s a lot of work to reformat the text and resize the cover. Also keep in mind that certain sales channels will accept only certain size books so choose an industry standard size. The CS website does a good job explaining that here (select the Printing Options tab). This can be a little confusing so read my post about the pros and cons for each choice. For our purposes I'll say that the free option (CreateSpace-Assigned ISBN) is worth considering if you think libraries and schools may wish to order your book. See expanded distribution below or study the options on CreateSpace—their help is quite good. What about your time investment? This depends greatly on your word processing and book designing skills. One of the trickier things to do is adding page numbers, footers and headers. After that it comes down to the type of book. Novels will be easiest because they usually don't have footnotes, endnotes, chapter design requirements, section breaks, etc. Find a book similar to your subject and ideally from a major publisher. Study its design and ask yourself if you can use it as inspiration. So if you did everything yourself, including designing a cover, using the free ISBN, and proofing your book online, the final cost is…..$0. All that's left is to put your book on sale on Amazon which is an automatic process. Click here to learn how much it will cost you to buy books for your personal use (select the Buying Copies tab). Did you know that print books are still nearly 80% of the market? Give it a try by visiting CreateSpace.com and sign up for a free account. And if it gets overwhelming, or you have a question, give me a call. I know my book is 175 pages that are 8 ½ x11 and I know my book has 67,556 words. But I do not know how many pages the book itself will have once published. My friend is going to run it through Quark (sp) and get an idea for me. I am almost sure I want the size 9×6. I like that size and feel like it will be easy to hold and read. So here is my question, how much does the size affect the price/royalties of the book? I think I understand that it is more by the number of pages, but am not sure about the book size itself. Of course I understand that the size of the book can change the number of the pages, as well as the font, etc. What are your thoughts on this? Is it about the same for a 9×6 as it would be for an 8×5? Thanks so much for your time and your site! At the very top of the CS page click on Books, then trade paperback. You don’t need to be logged in. You’ll see some tabs there, click on Royalties. Btw, another tab has the templates where you can download the different size Word templates. On that royalty tab you need the trim size and page count. Let me know if this helps. Best of luck with your book. If I have a publishing contract with a company but they are only using ebook rights and are willing to let me print copies and distribute them myself do you think it would be worth it? Overall, the research tells us that sales of print books still comprise about 80% of all sales. In some genres, like fiction and narrative non-fiction, the percentage is lower. But regardless, a print book is still easier to use for events and hand-marketing than eBooks. If you have the budget, I suggest doing it. Your forgot to mention the option of getting your book a Library of Congress number. With the current copyright laws it’s not necessary, but still a smart thing to do. The big publishers do it so there must be good reasons to protect your publications. I didn’t do it for my first two because finding on the CS isn’t easy, so I didn’t know it was available. It’s in the Marketing section, which opens on a new tab. It’s listed at the bottom of the Copyright options. You fill out the form and email it, and they return the call to say the price, $49.00, has been put in your cart (on CS page) and verify your payment source, like a credit or debit card. I usually get a notice of the number within a few days. You can call them, especially if you have questions or it’s your first time. For the price, which is explain on the marketing page where it’s listed, they include completing the request form for a number for you, and send a copy of your book to the Library of Congress. There is no guarantee the book will be listed with the LCC, and I’ve only had two show up so far on their internet listings. It does take a while for it to happen, as you can imagine. When I didn’t get an LCCN for my second book,which was getting a lot of interest, the only way I could get one was to re-publish it under a different title and with a different cover. At first the covers were similar, but now they are different (I changed them). The book originally had larger print than usual so I present it as the Large Print and Kindle editions, and the book with the regular print has no ebook version (though I could do it as a Kobo. Nook is being eliminated due to B&N’s situation). it does present a problem because Amazon hasn’t connected them as the same book so one may get a review, but it doesn’t show for the other. I do have author notes on their pages, but don’t know if many customers really read it. I’ve has to request reviewers I give the book to for an honest review to please list the review for both books. It’s worked so far, but I feel it’s a nuisance. I still haven’t gotten a LCC for my first book, which is two novellas, so I will have to get two LCCNs to cover it. I have them published as separate Kindles, and ready to go for small separate books, but I have other books as priority and until those are done, the Large Print and Kindle will have no LCCN, but I don’t really promote them much because of it. Because I don’t always have the extra money for an LCCN I sometime publish the book first as a Kindle only, especially if its part of a series. I have a children’s series started like that, which will become a complete book with an LCCN when all stories in the series is completed. It gets it out there while I work on others and I can see what the interest is in it. Thanks for letting put in my two cents from my experiences on CreateSpace. Hi Judith, thanks for sharing your experiences. In particular how to get an LCCN within the CS page. The reason I didn’t mention a Library of Congress Control Number is for a couple reasons. One, they state on their website that LCCNs are not available for self-published books. That of course makes us self pubbers cranky but when you think about the purpose of the LCCN it makes sense. They are intended to tell libraries about books coming out months or years in the future. Self-publishers, especially ebook publishers, publish much faster. I’ve also heard it is really difficult to get picked up by libraries. Some of this might explain why your numbers are delayed. Thanks for visiting and good luck with the books. I was wondering if you had any advice on whether or not it was a good idea to publish an eBook through Smashwords and then a print version through Createspace. I’m trying to not spend money on self-publishing and haven’t been able to get much advice online. What do you suggest if I want to use two different venues for accomplishing this? Also, is it okay to use the ISBN number that Smashwords provided and still retain ownership of my work? Or do I have to go through the Copyright Office to make it official? I know they say that you gain copyright once you upload, but I want copyright on my work as a whole, so that when I print it in paperback, it is also covered under my name. Sorry for the long comment! But I hope to hear back from you soon. Thanks for your reply. I know there is no connection between ISBN and copyright, but I read about you talking about the ISBN differences between using the free ones and assigning your own. I used the one SmashWords assigned me. But for CreateSpace, should I just buy my own ISBN? And I know that most of my sales might be through eBook, but I prefer reading paperbacks so want a POD option and figured that a free route would be the best-given that I’m not trying to be a bestseller or anything. Let me know your thoughts. Thanks so much. Susana, in case I didn’t already reply… If you have the budget the $99 CreateSpace option gives you the most flexibility. Otherwise it sounds like the free option will meet your needs. Amazon states that a POD book under 150 pages will have no printing on the spine. Do you have any info on how this would affect a children’s book that is only 28 pages? Is there no way for them to print on the spine, and does the lack of a spine title deter distribution to retail or libraries via the expanded distribution option? I have noticed paperback children’s books at my local bookstore all have spine printing no matter how short they are and was told consignment book shops require spine printing too. Hi Eric, I’ll try to address each point. -The spine printing issue is more a matter of the manufacturing process. Amazon uses other POD printers besides their own presses to produce books. Sometimes this could be fine and other times it won’t. Actually I believe they use the word “recommend”, as in they don’t recommend spine printing when less than 150 pages. -I’ve done books for clients and the spine printing looks fine for 102 pages. My only caution is they might push back if you complain that it isn’t centered. -28 is awfully narrow for any POD printing. You might have to use an offset printer if this is critical. -Expanded distribution: okay, just to be clear, your book will be in a catalog from which a store or library can order it IF they so choose. You or a sales team would have to tell them to look there. Or maybe your advertising or PR would say “order my book from Baker & Taylor”, which is where most libraries order from. I hope this has been helpful Eric. I must wanted to say thank you for writing this. I found the answer I was looking for here. I now know that I can publish on Create Space with confidence and if I want to change things later, I can. Thanks so much for this post! I currently have my book on Kindle but I would like to have print on demand books. Is it possible to have an e book and print on demand at the same time? Yes, it is very common to release your book in both formats. I am new to Amazon CS. just set up an account. We have around 20 titles want to sale via Amazon. One thing we want to use is their POD. But we are not familiar with CS site and their publishing procedures. 1. We have PDF for printing house already, but we have to adjust to meet CS’s submit specification before we upload these PDF for printing, am I right? 2.In which step, we can select papers, pages, and size? after uploading the PDF file? 3.howand when we can know the printing cost so that we can calculate the profit? Laura, check out the tabs on this page: https://www.createspace.com/Products/Book/. Yes, you need to adjust your PDF to their specs and these tabs have answers to your questions about pricing and profit. If you’d like to discuss my CreateSpace consulting services please use my contact form. I help publishers setup their publishing strategy using CS and KDP. Do you think if we sale book in Chinese language, the book title may be in English,. (They were published in Hongkong and Taiwan, not in Mainland China.) Do you think the language could be a kind of disadvantage to do the marketing and sales via CS marketing channels? Or, can readers find our books via key words reach or can they find us in CS E-store list? I don’t know if CS supports the Chinese language. If you are saying the book is in Chinese but you plan to add an English title and use English marketing information to reach Chinese/English readers, that might work. It would be best for you to contact CS regarding support for the Chinese language. The best use of eStore is for wholesale buyers. Average shoppers are not going to visit CS unless you send them there. Shoppers will have to setup a new account to buy your book and they can’t use shipping programs like Prime. Thank you so much for your kind help. I will go to them for more info. to see how we can sale our titles in North America. Appreciate again and you have nice weekend! I found a cost estimator on the CS site. It said it would cost $15.40 to print my soft cover, full colour, full bleed, A4 size, 208page book. That would be marvellous and I wish I could believe ir. I have a book designer who uses InDesign and he can do my pdf file(s). What do I do next to get a firm quote from CS? David, that *is* a firm quote, assuming your file is 208 pages, etc. The price isn’t going to vary from the quote if the specs match up (you aren’t printing in volume since this is POD). If taking the PDF through the process of publishing is something you need help with you should send me an inquiry through the website contact form. I can tell you more about how we help indie publishers at this stage. You need to hire a professional editor in order to prepare your manuscript (this is the highest expense, and it is mandatory – unless you want to look awful and wreck your reputation as an author). Unless you are an experienced artist, you also need to hire an artist to do the cover. There are some very good artists on Fiverr, though, so that need not necessarily be expensive. If you want libraries to be able to catalog your book properly, CreateSpace offers to get your book an LCCN and submit to the Library of Congress. They won’t catalog it, but that doesn’t matter – your local library can use the LCCN. I believe CreateSpace now offers expanded distribution for free, so that expense is gone. Publishing a book isn’t truly free. Expect to spend $300 to $500 minimum, if you are extremely good at hunting down bargains, and do all of the formatting yourself as well. We have a book that we would like to sell on Amazon. I would like to find out what the POD cost is for this book. But was not able to find an estimate calculator on CreatSpace’s website. If you could help it would be greatly appreciated. As of now we need 100 books strictly for samples. It is 145 pages of full color graphics, full color front and back covers, spiral binding, 8.5 x 8.5. They don’t do spiral binding but I was able to check your specs and see it would cost $11.07 each. Color really pushes the price up. Btw, I’ve never seen a quantity discount reflected in their pricing so simply multiply that number by 100. Great post David… Personally I prefer Lulu.com — it’s really easy to use and has some amazing features (free ISBN/barcode, distribution to all major channels including Amazon) — but I’ve heard a lot of good things about CreateSpace too. Greetings sir. I live in Australia. Is it advantageous for me to use CreateSpace or should I try a local alternative? I would make the decision based on distribution. How easy is it for the printers you are considering to get the book into the right online stores and what is that cost? Shipping and handling are very important in this case. Excited I found you!! My blog now has over 10,000 readers and the facebook fan page 3,000 and climbing. Most of the readers are anticipating on the release of my book. Which I am thrilled. Question: If I do both e-book and paperback – Basic 6×9 Black & White 98 pages. Paperback. My own cover design. How / and how many should I have printed for sale distribution? Also, I ‘ve established several relationships with private bookstores, coffee shops and retail shops – they’re excited to set up a signing event. for September / October 2015. *Have you guessed my day job? Yes, I’m in Sales & Marketing. which gives me a huge advantage. With that said – I’m confident with at least 1000 copies. What kind of up front cost should I expect? Thanks so much for all you do for us Indie Writers. Hi Lynne, it is impossible for anyone to predict sales but I can give you feedback based on the facts you shared. -The stores will most likely want to order from Ingram or Baker & Taylor. Ask them in advance of deciding which POD service to use. -100 pages is usually the min for printing on the spine. Cream paper is thicker, btw. My general advice to new publishers is that they should first focus on refining their marketing strategy. Then focus on maximizing margins. Good luck. Thanks for you post. I have read some people had a problem validating their book was sold. Meaning, they had friends or family that purchased their book but there was no record of the sale with Amazon. The book was actually sold but they received no royalty or notification of the sale. How are sales of books or e-copys validated? Is it possible to say there were 20 sales when there were actually 50? How do we know? Trust? The potential for this happening is present in any royalty arrangement, which is why contracts usually include an audit clause. Unfortunately that isn’t possible with Amazon, or if there is some kind of recourse I’m not aware of it. From time to time I’ve heard what you describe but I’ve also never heard about anyone proving it. The only way to do that would be for you to get the purchase receipt and compare them to sales reported in KDP. Like other forms of stealing, I have a feeling that Amazon and other stores have far more to lose in reputation than to gain from under-reporting. I’m curious about the options of producing a hard back POD. No one seems to mention that. Could you talk a little about that and the various options as they might relate to price. Thanks. Terri, your best option is to consider IngramSpark of hardcover POD. You and find a few references to them in these posts: https://www.authorimprints.com/tag/ingramspark/. I have not used any other POD hardcover printer. The main reason I recommend starting with them is that Ingram can manage distribution. Hi David! I have the first in a series of children’s books that has been ready to go to print for a few months now, and I have been stuck at the point of this publisher decision. I have an amazing illustrator, and all illustrations and cover are ready to do. I’d planned to go with CS, but then began looking at Blurb because I was interested in having a hard-cover option as well as planning to publish in Spanish also, and they seem to have better options for marketing outside of the U.S., and I’m wondering if my perception about this is correct? Also, I plan to market these books to schools, preschools, and other agencies that work with children with autism and other disabilities, and it seemed that you possibly recommended using IngramSpark for a book that would be directed toward this audience? Can you provide any clarification about these three areas — hard cover children’s book, international marketing, and marketing to schools and agencies and their avenues for ordering? Thanks!! Your other responses to folks have been very informative! Do POD printers work the same way. I’m re-printing a 96 page book (16×6) and wondered about shortening or lengthening it. Doris, here is my general guidance: Normally I would say to avoid a company like Blurb but they recently announced a program that includes some type of distribution. Distribution is the biggest thing to focus on, not so much who prints it. For example, I would find out if schools and libraries (many of whom use Baker & Taylor) can buy from Blurb. That said, you can’t use CS if you plan to print hardcover so IS (besides Blurb) is your best option. CS is a great choice for paperback b/c you’ll make more money when you sell via the Amazon store. It turns out that an effective strategy is to use both CS and IS. Each has strengths. Make sure you buy your own ISBNs. Leon, the big POD printers like CreateSpace and IngramSpark use multiple printers. They say that the signatures can be 2 or 4 pages, depending on the printer they use…which you and I can’t control. They also add their own pages to the back for their internal barcode. I am completing a motor sport history book with the intention of printing 400-500 offset, case bound with jacket, two colour, 350 app pages. Nearly ready to go to prepress pdfs with maybe 200 mono halftones and some duotones. I am in Australia but the topic and market is UK and maybe 10% ROW. I wanted case bound etc etc for traditional longevity but now I am thinking, who needs longevity with POD? So I am thinking print 100 digital for immediate demand then rest POD. But I am not sure where to start particularly as I would like to maintain the current trim size of 190 x 245. Pse could you point me in the right direction? PS that’s mm by the way but it seems to be near enough a ‘standard size’. Terry, have you looked at IngramSpark? They can print and distribute internationally and meet your specs. They might give a small discount for 100 books. http://www.ingramspark.com. I’ve written a few articles on their service so type in ‘ingramspark’ in the search box at the bottom of this website. (your metric dimensions are very close to their standard 189×246. David, I have just self published an autobiography “A Real Apprentice” through Smashwords on their Premium list and am in the throes of a marketing exercise, facebook, Linkedin and Twitter. As you must know its available as an ebook through EPUB, which you just download to your computer, and one can choose Kindle. What I want to know is as its available already through Amazon (Createspace), can they just take it across to their POD system OR must I re-write OR copy & paste it over to their WORD or PDF. There is no automated system to take a Kindle book to CreateSpace. The book will need to be designed and formatted for print. IngramSpark is alive and well. Their customer service can be a little slow to respond but quality is excellent. Bel, take a look at Blurb Books. What you describe is a custom-designed service but Blurb may get you part of the way there. Thanks for sharing such detail. What a helpful site you have. I want to make sure I’m on the right track. I have a book for dog owners that I sell on Amazon and I also use Createspace for POD copies. I am trying to sell my book to retail outlets, and while the printing isn’t too costly on CS, once you add the shipping cost, the price really goes up. If I were to have a print run for say 2000 copies, how would you recommend doing that in order to keep the cost down? It sounds like you need to get some print quotes. There are two issues you need to research some and I can only touch on them here. One is that some printers may not print the book if you use the CS provided ISBN. If it is your ISBN you are all set. Second, depending on the store, they may want to order through a distributor. If they don’t mind buying from you, you’re all set. If they prefer someone like Ingram, you need to get listed there. You can do that via their CS competitor IngramSpark. Volume POD there is a little less than Amazon. Debbie, they used to charge something like 79 but now they don’t. When I last asked they implied it was free but would need to see the book. My hunch is that fiction or narrative non-fiction is free or close to it. However, keep in mind that you won’t get a mobi or EPUB file. I am considering using Createspace to print a 507 page paperback. My present concern is that they do not list their location or telephone number. I like to know I can contact a company I deal with. Arnold, you can sign up for a free account and click the contact button or type ‘contact createspace’ into Google. They print all over the US. David, stumbled on to your web site and wish I would have found it about 6 months prior. I am a first time author and started with only producing an e book on Amazon Kindle Direct. I thought the royalties were fair and the process was very straight forward. I thought it would be a nice perk to produce a paperback version of my book since many potential buyers were asking for paper; they were somewhat confused and thought they needed a Kindle to purchase the e version. To produce the paper version of the book through Create Space was a bit more complicated, but the web site walked me through the process. The project team that was assigned to me was not all that helpful. I approved my paper proof, which looked great, but as I moved forward in the process I was surprised by the royalty calculation. After investigating further, that’s the price I am paying for having Amazon do all the heavy lifting for me – a royalty of about $3 on an $8.99 selling price. Now that I have studied your tips and advice, I will use a different approach for book number two. Thanks for your guidance. I live in Canada and am working on self-publishing my book. I have used an American-based cover designer and interior lay-out designer and am quite happy with the results! My challenge is the exchange rate on the Canadian dollar. Do you have any recommendations for Canadian-based companies who can do POD , e-book, and distribution through Amazon? I read about Blurb, however, I don’t have one of their standard sizes. I have 170 pages and I believe the size is 5 x 7. I’m really wanting to get my book ready for November (Christmas market), so your prompt feedback is gratefully acknowledged! Great site, lots of good info. In my case, however, I’ve already got my ebook on Smashwords, and I first created a book for physical printing with a template–it’s ready to go as far as format. I simply want to get it printed also, and distributed via book retailers, libraries, etc. Would Createspace be the place for me? I’m not too confident about being able to distribute it widely myself, unlike Janie above, although I could see a few copies. So what I need is the most reliable, best per book price out the door–you get the idea? I don’t know about other POD and will not use a “Publish on demand”. Thanks David. Hi Dan, thanks for dropping by. Your experience is not unique so I thought I’d use this forum to clarify a couple things. The standard percentage of retail that publishers receive is 45% when they sell through a distributor (the retailer gets 40%, so that’s 15% for the distributor). Amazon acts as both retailer and distributor and gets 55%–again, these are standard discounts. From your 45% you need to pay to print the book. Since POD printing costs are always higher, your margin will be lower than it would be if you did a print run. Unfortunately this is the nature of physical book selling for indies. Hope this helps. 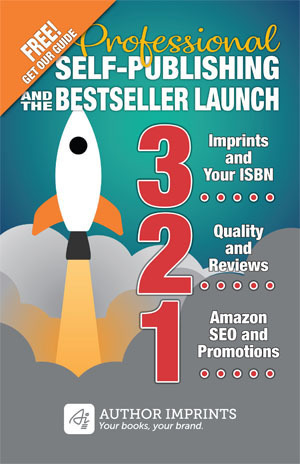 I would look at IngramSpark.com for both print and eBook as they distribute to Amazon and many more. But can’t you open a KDP account using a Canadian bank? You’ll get a much better royalty if you go direct to Amazon KDP and simply exclude that store from Ingram’s distribution. If you do print only through Ingram you could do ebooks to KDP and Kobo. Kobo used to be the dominant ebook store in Canada…although that may have changed. Roger, CreateSpace is “publish on demand” (POD). They are a printer, essentially, and of course have the best access to Amazon.com. I find the quality acceptable and preferable to doing a print run, your only other option if you don’t want to do POD. IngramSpark is the other big POD company, but CS book printing prices are lower if you are just printing one or a handful at a time. Thanks David for clarifying that, but I don’t know what a “print run” is, unless you simply mean going to a standard printer, and I’m sure that would be expensive. But, is CS at all into distributing the book, or news of the book? They seemed to indicate they were, but maybe I confused it with the ebooks. Thanks again. One more thing, David, if you please. I heard that Amazon insists on being your only distributer/seller if you go KDP. Is that not so? I had thought that I could only publish an ebook at one place (Smashwords in this case), but recently learned I could publish on any venue, but Amazon seems out for that, if I do KDP. Thanks. I am wondering if I can order prints by demand? Or must I order in bulk at one time? expensive up to roughly $90.00 per book for an 8.5 x 11 color soft cover book. The book is available to me on a file after I have published it with Bookemon. I am looking for a less expensive way for people to purchase the books. Is there a way to download the file to purchasers but to protect my copyright at the same time? Can you help me ? Your copyright is already protected but what I think you mean is to protect the file from being shared with others. This is called DRM, digital rights management. There are a few vendors that offer PDF software that stamps the file, or you can create an eBook and sell through Amazon (or others) with DRM on it. I don’t keep track of services that put DRM on PDF files–frankly its a hassle and I can’t imagine it being worth the effort and cost. Better to set the book up on POD via CreateSpace. Hi, David, great post. I already decided I’d go with createspace for the paperback, my question is this: if someone orders the book on amazon (or createspace estore) would I have to pay for shipping it, like with the ebook’s delivery cost? I’m a little confused. In both your examples the customer pays for shipping. Think of CS as a printer. They put the book on Amazon’s shelf for you. As the retailer, Amazon is responsible for delivery. Hi David, thank you for an informative site. I have a book written in English that is being printed a few thousands copies at a offset printer. It is about communication at work for managers and employees. As I will have the book in Sweden I realise that I need to have a entry in Amazon and shipping from Amazon and therefore I am looking in to have a POD version and hopefully an ebook version of my PDF. The thing is that I have already the book in A5 format and it is 136 pages (the printed book is in two colors but i Figure I need to print it in Black and white using grayscale to get the cost down. Cover I still want in color. Is it possible to use existing PDF and just change the ISBN in Indesign? What paper do you suggest, the white or the cream? I have some illustrations like graphs and figures. What do you think? How much would the POD cost be as I need to calculate a price where I make a margin. How much to create the e-pub/PDF book? I realise that it is a consulting engagement, I will come back to you David! I know there is no such thing as a free lunch!!! David, thank you for your site, this is extremely helpful. I’m about to self-publish a short novel using Create Space. The ms. has been edited, and I have cover art. I’m pretty tech- and design-savvy, so I think I can get do all the prep myself and have 100 or so copies printed for around $300, which I consider a steal. I have a busy day job, so I don’t have time right now to do much in the way of promotion. I intend to give away most of the books to friends and sell a few at readings and author events. But having published a novel by a mainstream publisher in the past, I want to leave the door open in case I get any interest from an agent or publisher for this book. From what I read on Create Space and on your excellent site, I believe I lose no rights by self-publishing the book on Create Space (using the free ISBN option), so a small press or even mainstream publisher could re-publish the book later under their own imprint — is that correct? Thank you for all your sage advice to budding self-publishers! Hi Sarah. There are no rights issues as you frame it here. CS is just printing and distributing the book for you. But if you are trying to present a professional brand you might consider not using the free option where the publisher will say “CreateSpace”. For $10 you can use a name of your choice. Best of luck and thanks for stopping by.